The Noble Collection is proud to announce their new wand pens to join their successful range of wand pens and illuminating wands. These pens combine the features of both. 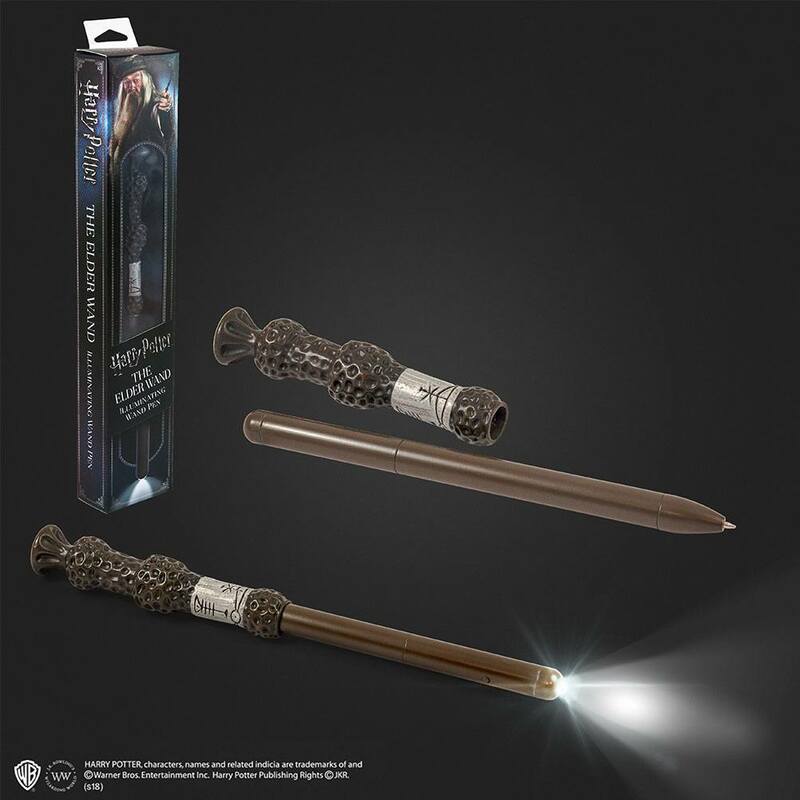 Not only are they based on fan favourite wands, at the touch of a discrete button, they cast a bright light from their tip and can be used as pens. Each pen measures approximately 23 cm in length and is presented in a four colour, character window box.